Label everything you love – that’s Chris‘ and Doerthe’s motto. Together with their Stickerkid Team, this Swiss-German couple that takes care of your labels. They are in their thirties and recently became parents for the second time, so it is totally normal that their circle of friends consists of more and more parents and families. The young couple found out very quickly that kids are real champions in losing and forgetting things and they wanted to prevent lost toys and mixed up shoes. Easy to understand that they fell in love with the StickerKid idea and the products. Unique labels of top quality, just wonderfully handy for parents and kids – a concept you cannot say no to! Doerthe is originally German and came to Geneva in 2007, where she instantly fell in love – not only with her future husband, but also with the culture, the people and the mountains here. Later on she found her dream job and her biggest star was born – lucky her! Her slightly perfectionist (German) lifestyle, paired with a passion for DIY, helps the working Mom to not only master the gap between family and job but even to enjoy it. A husband who takes care of the IT and an office full of girls who are happy when her adorable boy and dog are joining the team in the office from time to time. An international team who supports the conception of Stickerkid with a lot of passion and love and who is willing to constantly improve the quality of the products to make the labels even more personalized, handier and lovelier for you! 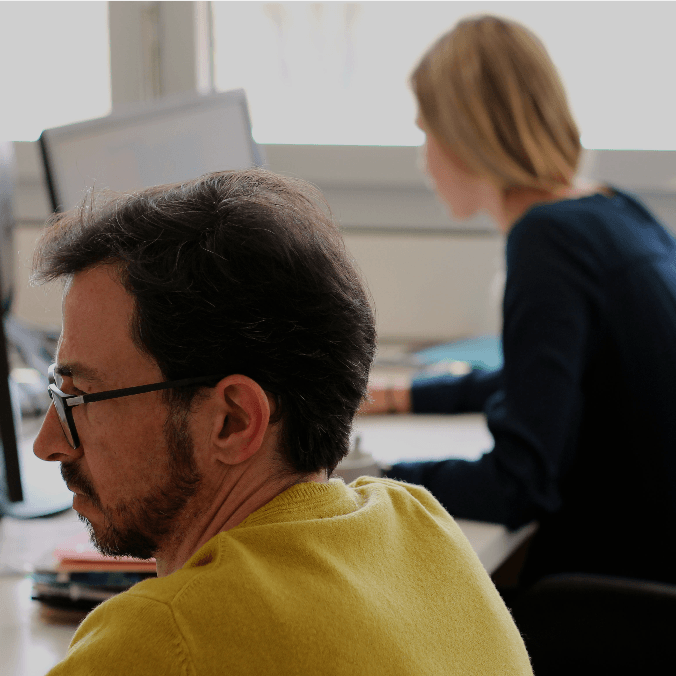 But without Mark and Michel, Stickerkid could not be what it is today: they founded the enterprise a few years ago after developing the products and technologies over long years. Thanks to these two geniuses, our StickerKid labels withstand washing machines and microwaves during a period of 10 years. During many hours, days, even weeks they tried out new materials and developed also our iron-on labels, which withstand without any problem 60 wash cycles at 45 degrees (and which can be easily removed by the way). Not too bad, huh? 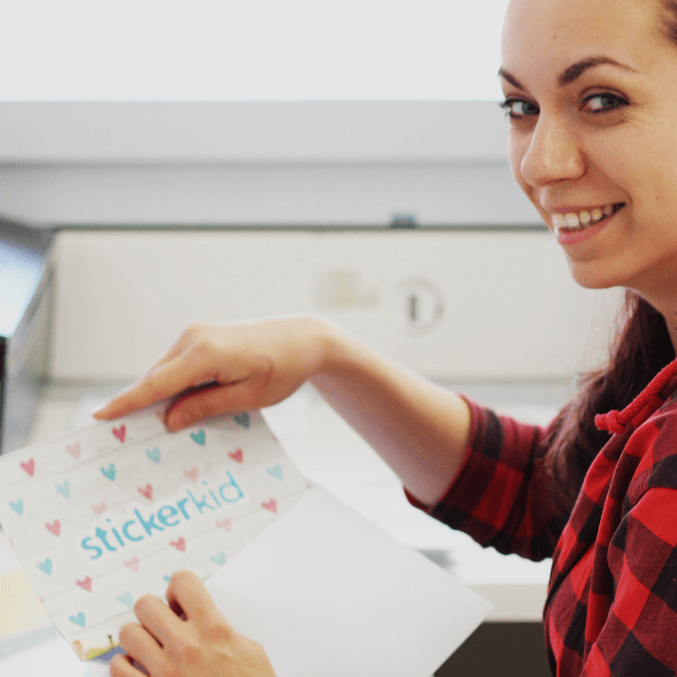 Stickerkid was founded in 2004 and meanwhile we count more than 300 000 satisfied parents to our clients. Over the course of these 10 years our products have constantly been improved and we can proudly look back on millions of printed stickers. It makes us especially happy when you parents recommend our labels because you are convinced by their quality and durability. We are always glad to hear from kids and parents that it is so much fun to customize the labels together. Please keep on telling us what you like and of course don’t hesitate to tell us what we can do better so that we can improve our offer and service for you and your beloved ones!